We have to agree with your Mum, Albert, you really have come along in leaps and bounds. Your friendly smile and kind nature towards the other HFSA kids goes a long way and certainly doesn't go unnoticed. Thank you so much for taking the time to share your thoughts with us, and we will see you and your sister at Camp! Benedict, thank you so much for agreeing to tell us all a little about you and your family. We are always happy to see you at the Academy with your smiley face. You work very hard and we can see you gaining confidence every week. Have a great holiday season! 2. 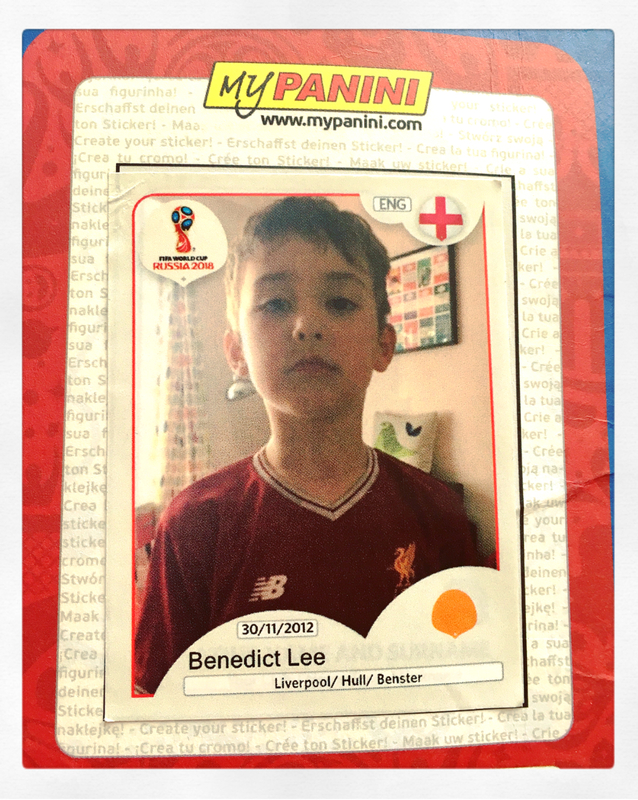 Tell us about you and your family ~ I live in Hull with my Mum. We are hoping to move to a house with a bigger garden so I have more space to play more football! 8. Do you play football in a team? ~ Not yet but I am nagging my Mum to let me! 10. What do you think is the best part of your academy sessions? ~ The matches! (Editor notes: Following key skills training, we then encourage small matches of 4v4, 5v5 etc to aid skills development). 13. What advice would you give to someone new wanting to join us? ~ Join, give it a try, if you like it, stay! We asked Mum, Wendy what she thought of HFSA and of Max coming along most weekends. 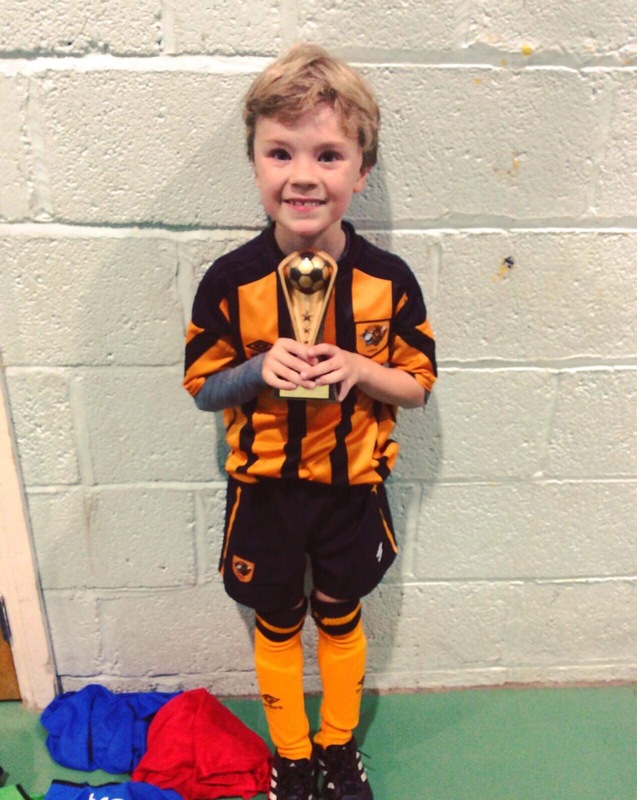 She told us: "Max absolutely loves coming to the sessions, both his football skills and confidence have grown so much. His endless energy and enthusiasm amaze me. 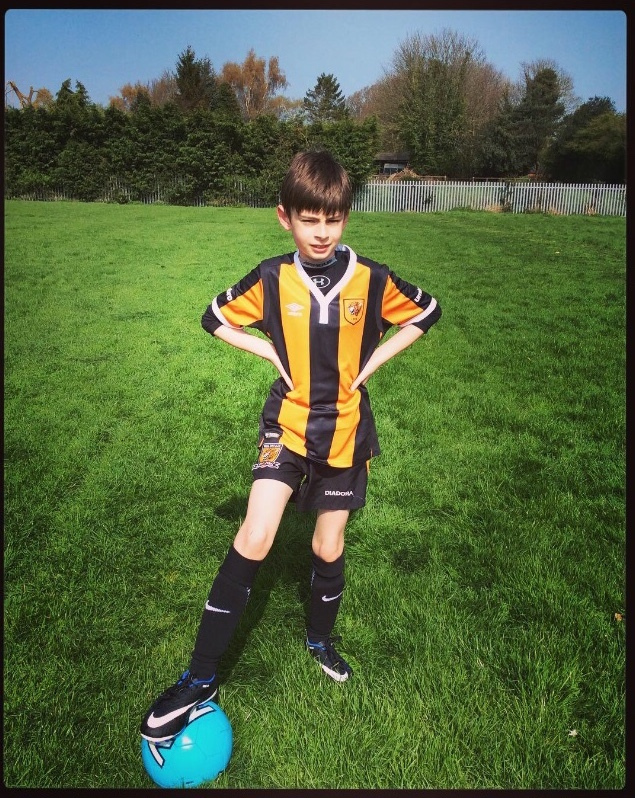 Max went to the Easter football camp and is really looking forward to the summer one. Thank you to Owen, Leah and Tom for all their help. 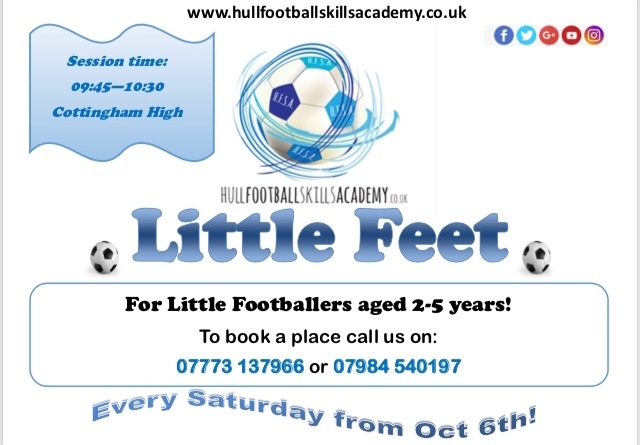 The parents/carers and other children are so friendly too, even I am starting to like football a little!" 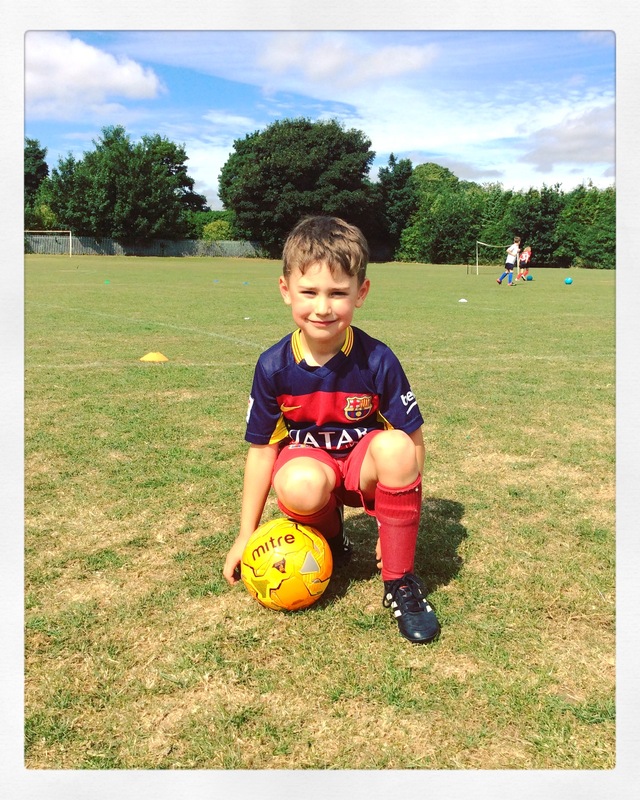 We have to agree with Mum here; Max definitely puts a lot of energy into his game playing, and is quite fearless at times. We hope he sleeps well for you on a Saturday night, Wendy! Well done Max and thank you for telling us a little about what makes you tick. Keep on kicking! Goodbye April, Hello May! And hello to this months Spotlight Member, Frazer Harness! Our thanks go to Frazer and Mike for taking part in our Spotlight feature. 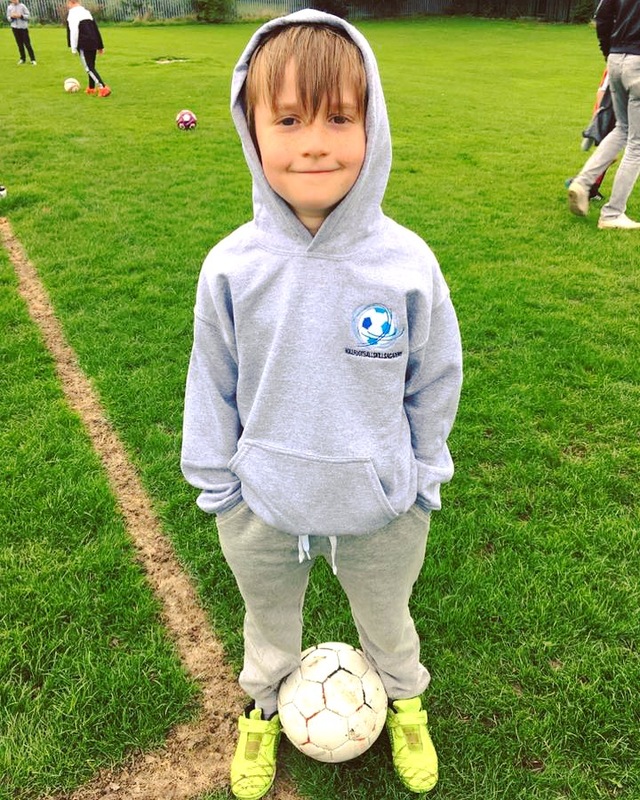 Frazer is a pleasure to have as part of the HFSA family, and his skills have matured immensely since he first joined the Academy. This is proven by the many times he's won Legend of the Week! Well done Frazer. Grimsby Town would be proud!